Designed to diversify your drinking experience. Sharing a drink with a loved one has never been easier. Regardless of your differences in taste, no longer will someone have to compromise. 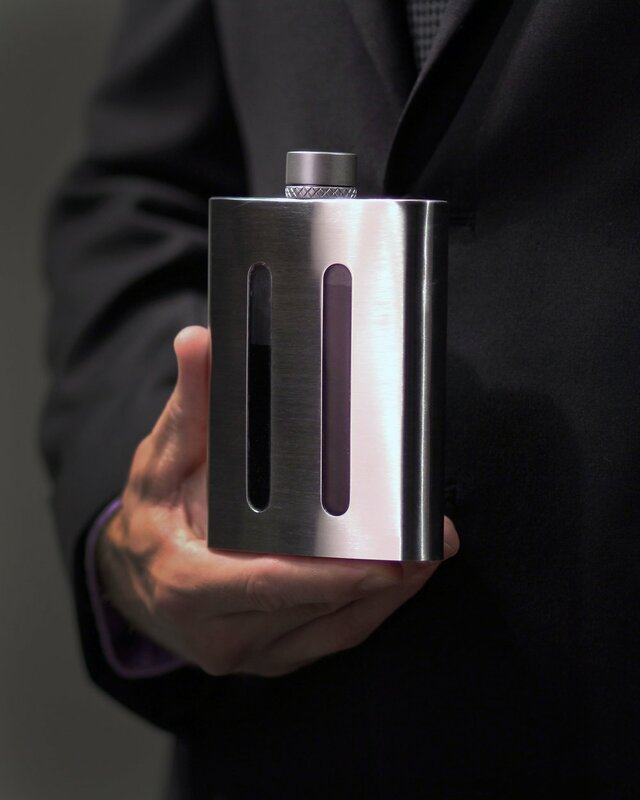 Each chamber holds your drink of choice, while being displayed beautifully through our seamless viewing ports. With just the twist of the neck our innovative mechanism smoothly switches between chambers or allows both flavours to be poured simultaneously. Carry the perfect mixed drink all in one, or leave some room for someone special. Come together over our divide. After being fully funded on Kickstarter we are now taking pre-orders at reduced pricing. Get one while the price is still low.